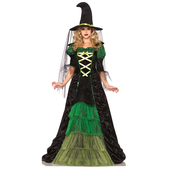 Ladies Wicked Witch of the West costume includes a green and black dress and cape. 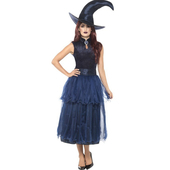 To complete the look a witch hat is also included. Broom may be purchased separately.